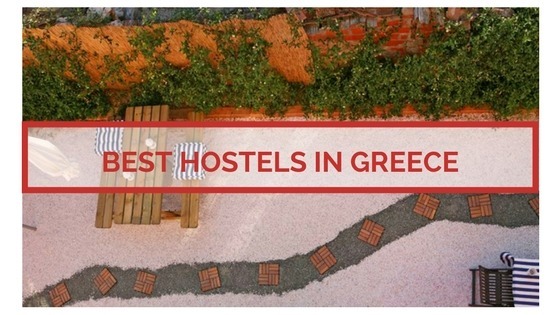 If you are planning on visiting Greece but want to keep that budget low, then worry not; Greece has a wide selection of renowned, award-winning hostel in many different locations to choose from, so that you can have your cake and eat it too. How about a low-cost, high-fun backpacking tour? Known as the island’s major hot spot for tourists, Far Out Beach Club is definitely the place to be when in Ios. The renowned hostel has an impressive number of facilities, such as pool bar, BBQ facilities, mini market, restaurants, water sport equipment on spot etc. while it is located right on the amazing lengthy beach of Mylopotas, just under ten minutes from the island’s capital. Tip: The parties of Far Out are notorious, a perfect way to meet new people and dance until the sun comes up. Reportedly Thessaloniki’s top hostel, Little Big House is located probably in the most picturesque neighborhood of the city, Ano Poli (Old City). The acclaimed facilities will please even the most demanding travelers, while you can indulge in the daily boufe for just 2 euros. The location of the hostel is ideal both for those who want to relax and wander through the backstreets of the area and those who want to explore the fascinating sights as well as nightlife of Thessaloniki, being only 15 minutes from the centre. In the hip neighborhood of Psiri, right in heart of Athens, City Circus is a new hostel that has been praised by travelers for its amazing atmosphere, friendly service and alternative staying experience. The renovated, sophisticated building and the common areas will enthuse you with their aesthetics while the facilities are all up to date with the latest standards and the stuff is willing to inform you about the city and what to see, eat, drink and do. Tip: Do not miss a visit to the hostel’s restaurant, Zampano, as well as the rooftop view of Acropolis – breathtaking. The most enchanting greek island, synonymous to glorious sunsets and jaw dropping views, can also boast about a superior hostel that has visitors talking. Located at Karterados village, quite close to the famous Fira and caldera, Caveland was originally an 18th century winery that has been transformed into an elegant, spacious hostel with all the needed facilities as well as common grounds, terrace, pool, reading spots etc. where travellers from all over the world can meet up and enjoy this majestic corner of Greece. Tip: Breakfast is included in the price – delightful chance to try the delicious local products.